After graduating from Chiropractic College in 1984, Dr. Mary Connors began practicing a year later. This second generation chiropractor started working with her father Dr. John Connors. She then practiced part-time on a contractual basis with other chiropractic offices. 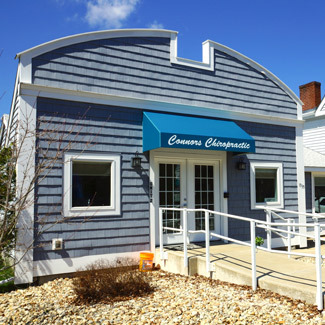 She’s delighted to be opening Connors Chiropractic Health Center to serve patients in Stoughton through a holistic approach to health. Based on anatomy, physiology and looking at the spine, chiropractic is about checking to see where there is subluxation in the spine. Through an adjustment, that interference can be removed allowing the body to heal itself. While chiropractic does an excellent job of reducing pain, it also boosts the immune system and can help decrease symptoms of the common cold, flu, sinus infections, ear infections, digestive issues and much more. From young children to active seniors, patients of all ages can benefit from natural chiropractic care. In an age where there’s seemingly a pill for every ill, chiropractic offers a safe alternative to prescription drugs and surgery. Perhaps best of all, there are no side effects. We also see pregnant women so they can experience an optimal pregnancy and a smoother delivery. At our chiropractic office, we desire to make heartfelt connections with people regarding life and health, and to help them feel better physically, mentally and spiritually. One of Dr. Connors’ patients had suffered a long time from endometriosis and was told she couldn’t get pregnant. 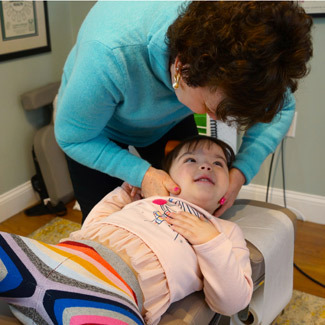 Though her family kept trying to get her to come in and see Dr. Connors she wouldn’t agree; finally, after a few years she did and began to get adjusted. After probably her third or fourth visit, the woman walked into Dr. Connors’ office and swore at her. “I looked at her and asked what was wrong. She replied, ‘I’m pregnant and going to be walking down the aisle of a Greek Orthodox Church pregnant! '” After the baby was born, she brought her child in for chiropractic care. We look forward to getting to know you and what’s going on in your life. Once we determine the cause of your issue, you can get on the road to better health. Contact us today to start your journey!